'Anomalisa' is a new animation film using stop motion similar to thee likes of Wallace and Gromit. It was also nominated for an Academy Award for Best Animated Film and became the first animated film to win the Grand Jury Prize at the 72nd Venice International Film Festival. However not much had been said about the film which is odd for an Academy Award nominee. 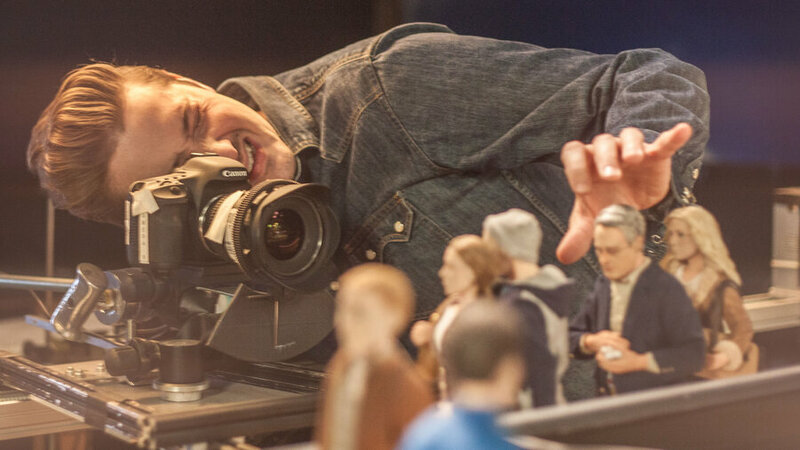 So would 'Anomalisa' be more than a simply charming stop motion production? 'Anomalisa' follows the life of Michael Stone (David Thewlis) an inspirational speaker who is finding life rather boring. This is soon changed as he meets Lisa (Jennifer Jason Leigh) who to Michael is different to everybody else around him and soon brings back the spark in Michael's life. Going into this film, I had no idea what to expect. All I knew was that it was a stop motion film and had only briefly saw the poster. Nothing else. I was expecting a nice family friendly feature due to it's style. So I was sure surprised when the film started and in the first few lines it contained a lot of swearing. I was taken back by this and soon realised that my expectations were way off. This was then confirmed when I realised on my ticket that it was rated as a 15. This film is very much so a dark humoured adult comedy. Most definitely not a family friendly film. From the dialogue in this using a lot of swearing and innuendos to when the story goes on and it shows things not suitable for younger viewers. The humour works fantastically in this film and really is funny. Better than most of the comedies so far this year. Not quite as out there as 'Team America' however at one point, it looked like it was going that way. The humour really was unexpected to me which may have made it seem funnier but it does work very well. The film really is quite humane. It shows the deep fear that people have of being alone and also how people can be sick of their day to day lives. It shows this clearly as everyone who Michael interacts with all look and sound the exact same. That's why when he meets Lisa he is taken away by her as her appearance and voice is different. This also shows how people will react to something that is particularly different in their lives and that brings excitement to them. It shows how people will be willing to leave all behind to follow this new excitement showing discontent with their own lives. It's a good blend within his animation of having it's dark humour but also having a very realistic meaning in the story. It works perfectly and produces a very realistic and quite tragic tale. Of course the animation in this has to be credited. Using stop motion for a feature film will be no easy task and is a real credit to those who can pull it off. The patience that would be needed to do this is incredible. It would really be great to see how they were able to do this and look at how they put it all together to make it seem so fluent. Really interesting process and it was done fantastically. The film only requires three voices throughout the film due to the illusion to Michael that everybody is the exact same other than Lisa. That being said the voice acting for this was done very well. Jennifer Jason Leigh was great at Lisa and really did a great job. David Thewlis was also great as Michael and showed perfectly how fed up he was a lot of the time. The other voice used was from Tom Noonan who literally voiced everybody else in the film. You may get sick of hearing him throughout thee film as he does a lot as many different characters but that really is the point of him doing it. The film most definitely does turn very strange. At the point of Michael and Lisa interacting it takes a turn and becomes very strange. It continues to do this afterwards which involves a scene where Michael is in a nightmare. These two scenes certainly did take me off guard. Some parts of the scenes do work very well such as the trust building between Michael and Lisa and how Michael is so captivated by her simply speaking. However it doesn't take away the fact that there will be some routes you didn't expect the film to take. I didn't particularly like the ending to the film however. It just seemed very odd and abrupt to me. It is also very odd especially with the 'toy' Michael brings back for his son and what appears to come out of it. I also didn't catch onto the points in the film surrounding thee government. The photo of George W Bush in the nightmare scene puzzled me and then Michael's tirade during his speech was odd as well. Maybe I missed something but I didn't get the purpose of using this. 'Anomalisa' is a fantastic dark humoured stop motion film with a very realistic story within it. One to definitely go out and see, you will no doubt get great entertainment from this film. 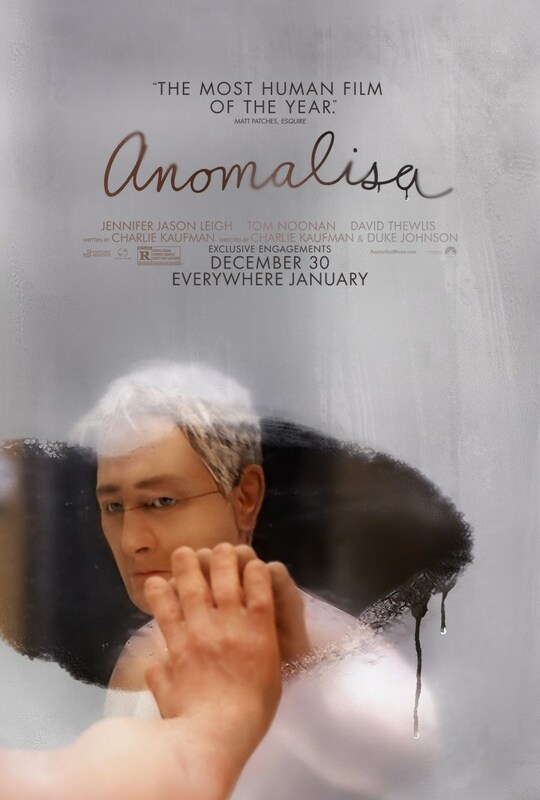 So if you have seen 'Anomalisa' what did you think of it? Once again thank you for reading, it is much appreciated!